The woman is suspected of having gained access to the school. London: A woman has been arrested in London on suspicion of attempted burglary at a primary school attended by Prince George, the great-grandson of Queen Elizabeth, police said on Wednesday. The four-year-old son of Prince William and Kate Middleton started last week at Thomas's Battersea, a private school in southwest London. The event was widely publicised in Britain and beyond. London's Metropolitan Police said a 40-year-old woman was arrested on Wednesday in relation to an incident at the school on Tuesday, and was now in police custody. The woman is suspected of having gained access to the school, but police gave no details about exactly what had happened. 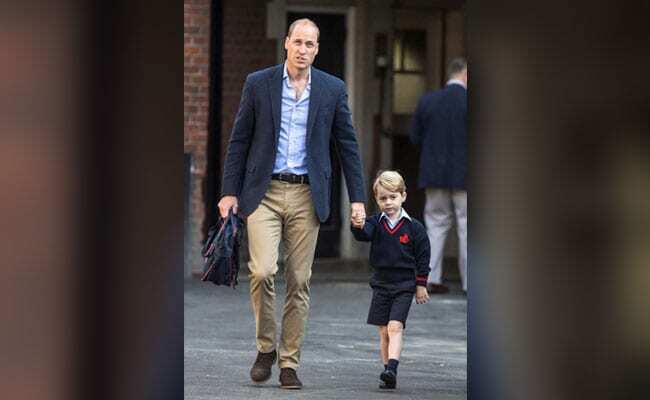 "We are working with the school, which is attended by His Royal Highness Prince George, to review its security arrangements after the incident," police said in a statement. A spokeswoman for Kensington Palace, the residence of Prince William and his family, said: "We are aware of this issue but won't comment on security matters."